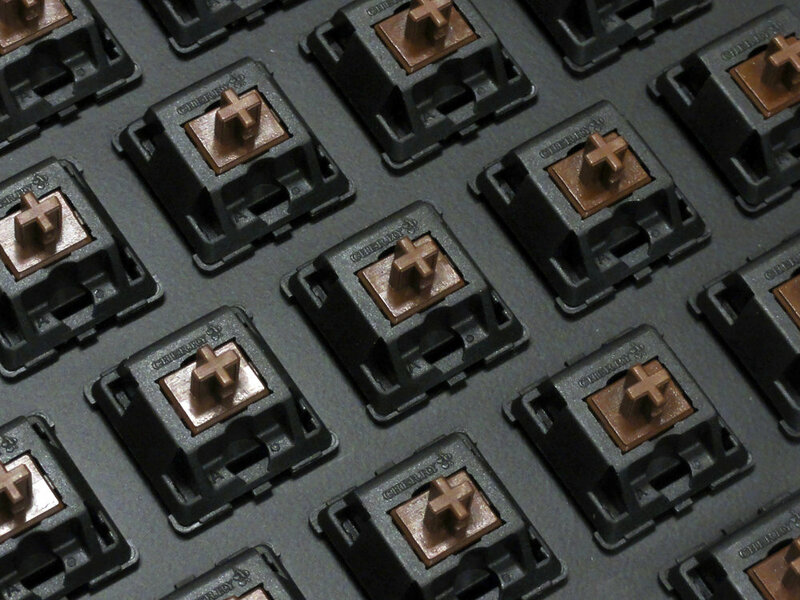 This is the 87 key version of Majestouch (the Majestouch without the number pad). 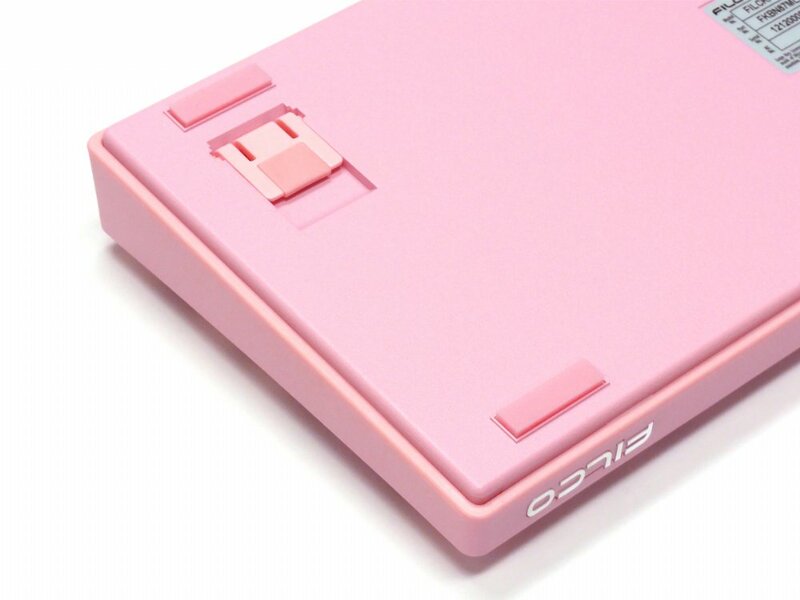 With this compact keyboard, you can save space while having the same layout, and the same tactile feel as the existing Majestouch series. You can customize your saved space by placing the 'Ten Key Keypad' (sold separately) on your left side or right side, when you feel the need. 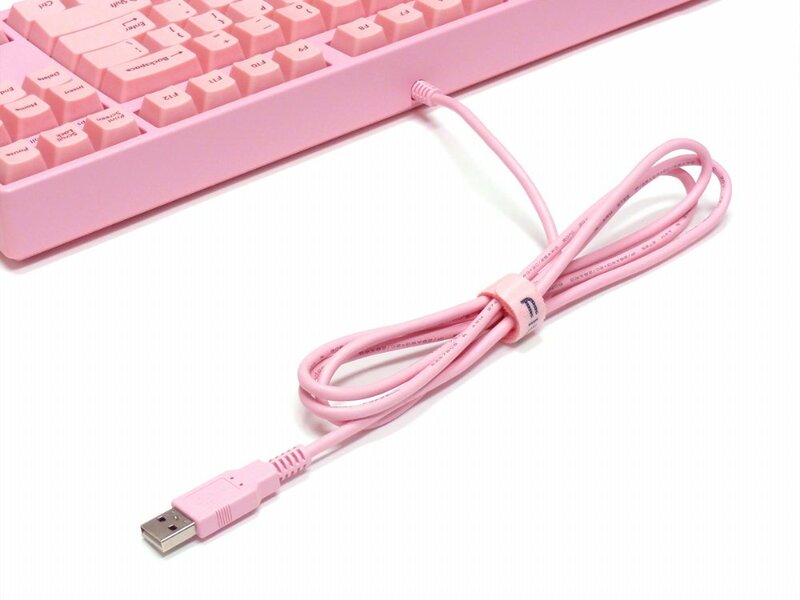 Pink keyboard with Pink keycaps with Black Legends, Pink LED's, Pink Cable, Pink cable tie and Silver coloured Logo. 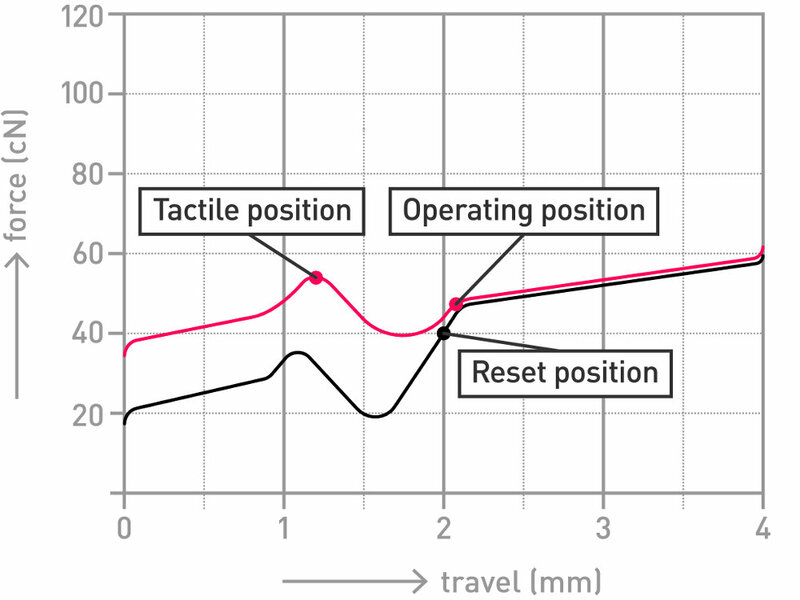 Switches tested to 50 million actuations. 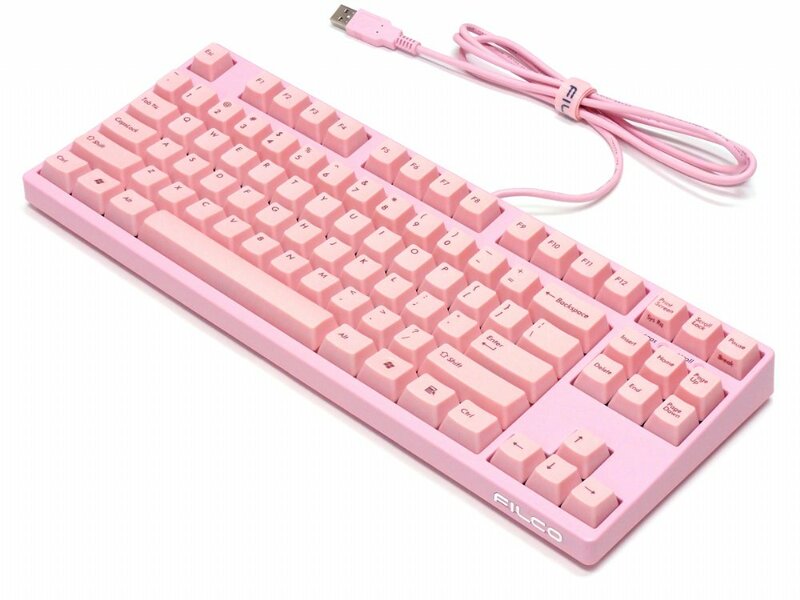 Keyboard arrived in New Zealand eight days after ordering. Really impressed with shipping, and the keyboard is gorgeous. Lovely texture feel, and the construction is solid. Thanks again! 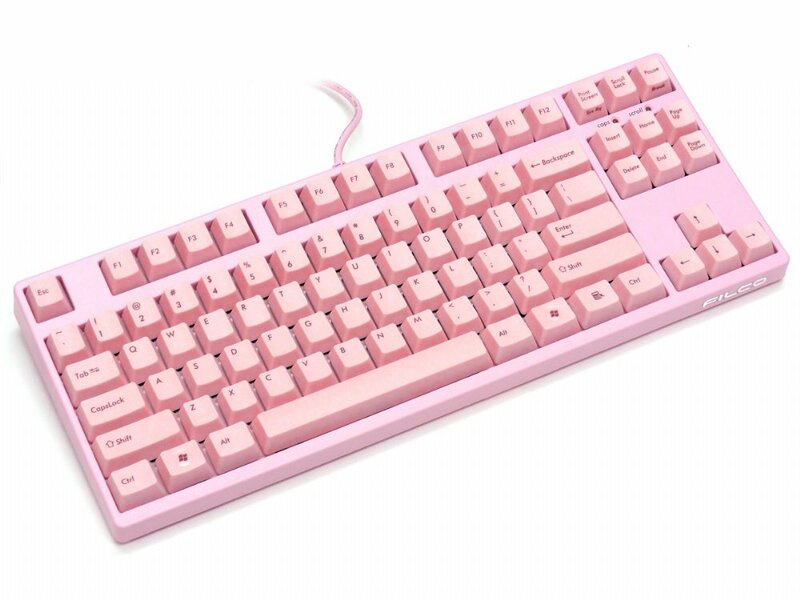 I have nothing to say besides it's an awesome keyboard, the quality is very solid. 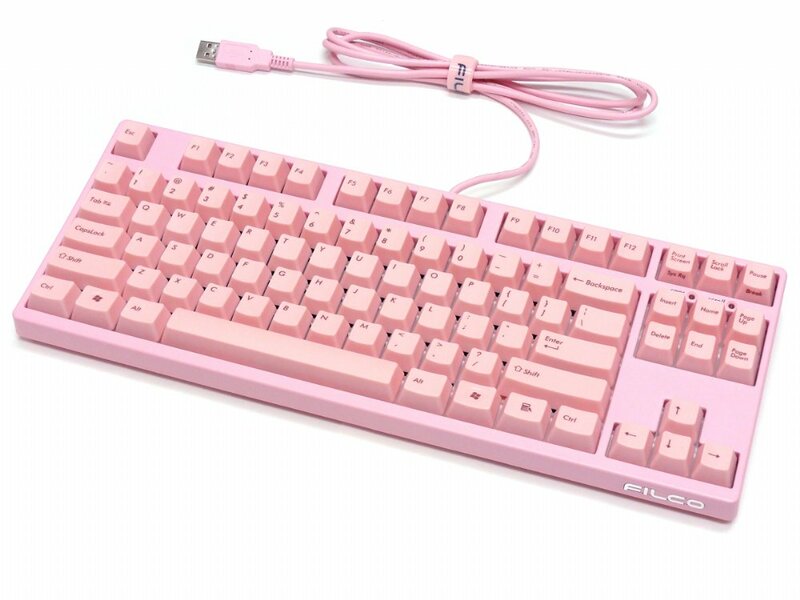 If you are looking for a gaming keyboard, give this one a try and you won't be disappointed. 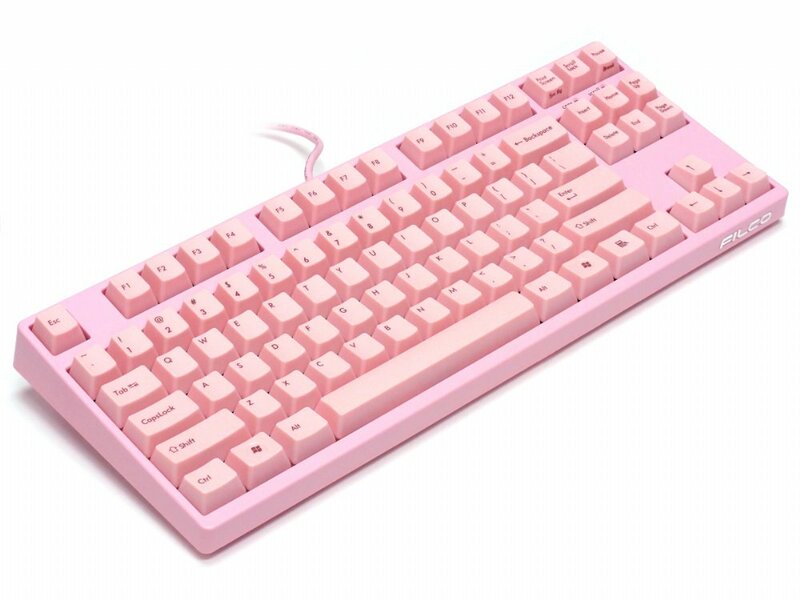 I'm enjoying it and this is the best tenkeyless keyboard for such price. You'll see it's a blast for its price. Fantastic build quality and colour. 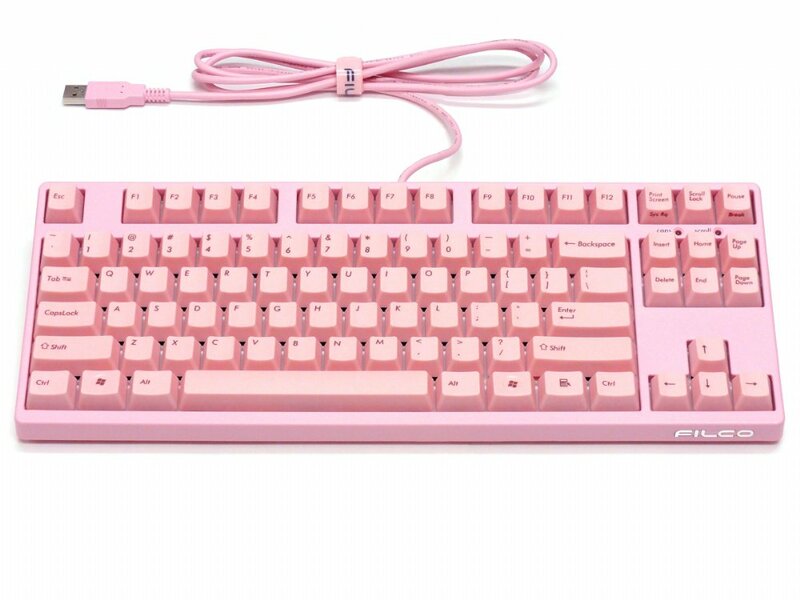 This keyboard has a wonderful heft to it without being heavy and doesn't shift about on your desk easily. It looks like a giant bar of strawberry chocolate. 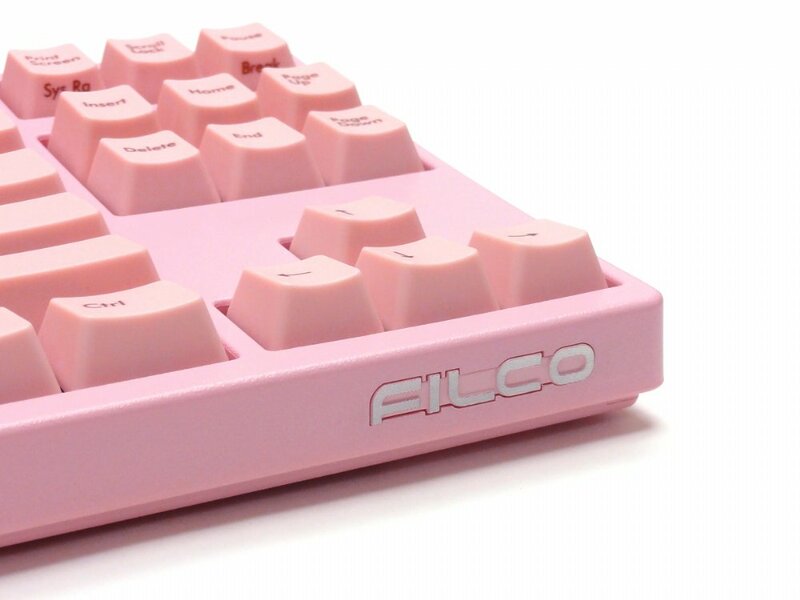 This keyboard is a real space saver and is good for folks with small hands. A joy to use and behold! 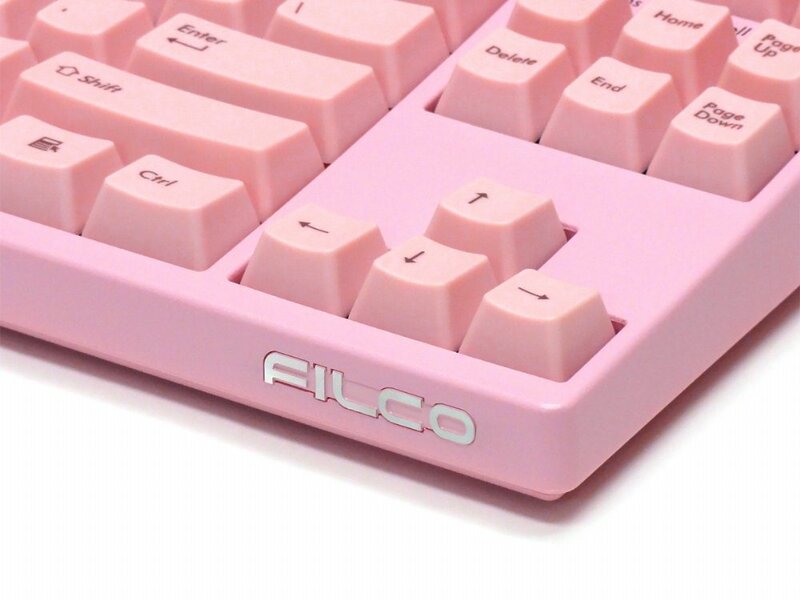 Excellent keyboard, great performance, comfortable compact layout, the pink colour is cute and I highly recommend Filco. 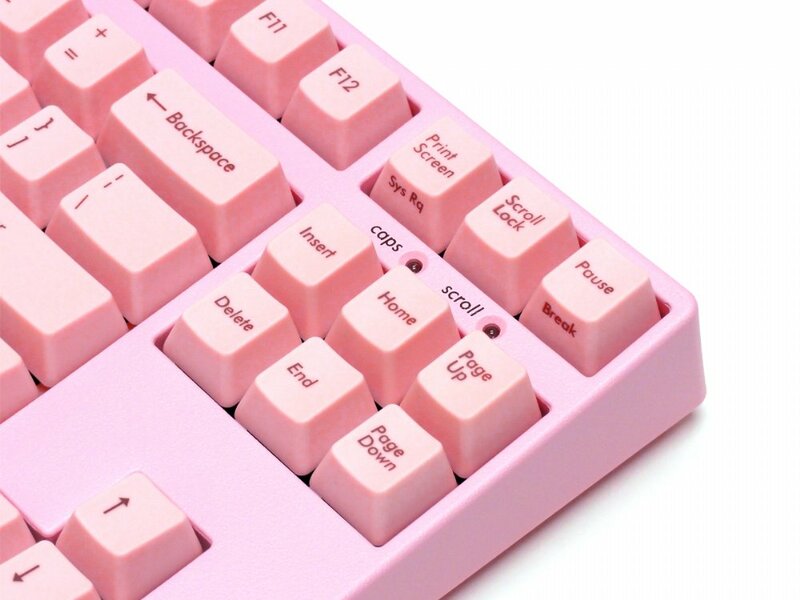 awesome keyboard, beautiful color, perfect switches. works great with a mac (just had to switch the keycaps for Alt and the Win key + remap them in the system preferences). speedy delivery too.